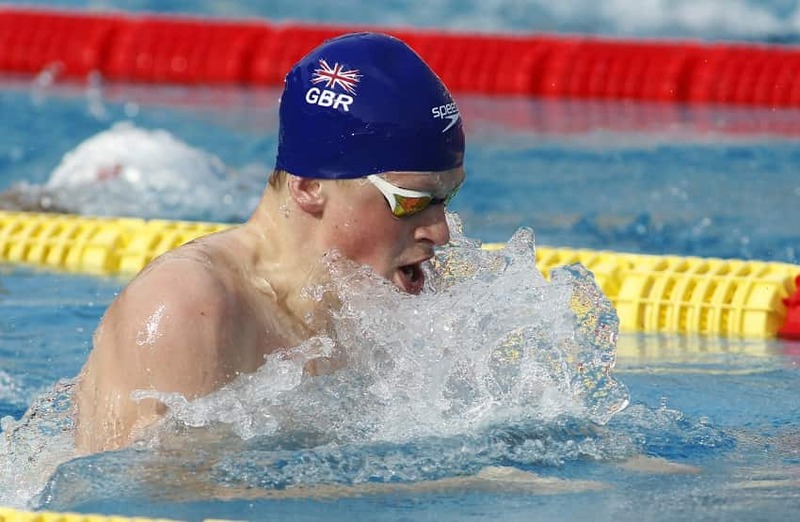 Breaststroke ace Adam Peaty has quickly attained legendary status in our sport. Here are some of his tips on how to be world-class between your ears so that you can dominate the pool, too. Adam Peaty has already cemented himself a certified legend as a competitive swimmer. In 2015 he exploded on the world scene by smashing the world record for the 100m breaststroke by nearly half a second, also becoming the first man to crack 58 seconds, swimming a superhuman 57.92. His upward trajectory didn’t sop there. The following year at the Rio Olympics he again broke the world record on his way to Olympic gold, winning by over a second and a half, clocking a 57.13. On the final night in Rio he broke another barrier, swimming an unthinkable 56.59 on his leg of silver medal-winning leg of the 4x100m medley relay. Peaty continues to chip away at his own world record (it now stands at 57.10), steadily working his way towards his goal of swimming a :56 from a flat start. There’s plenty the rest of us can learn from Adam Peaty’s pool-rattling ascent to the top of the podium. 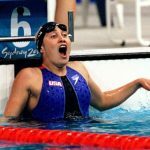 Here are some tips in mental toughness from the fastest breaststroker on the planet. Watching Adam Peaty cruise along to gold, or swimming a :56 relay split at the Rio Olympics, we can be tempted to believe his dominance to be mythic, almost supernatural. As a result, we can fall into the belief of thinking it’s always been easy. But Peaty has the bad days, too. He experiences bad swim practices like the rest of us. “It can seem like there’s no light at the end of the tunnel. Even as an athlete with a strong mind, you have moments where you doubt yourself. You start to feel anxious,” he says. Although we want things to go smoothly for us in training and competition we both know that this is naïve. Any journey worth taking includes resistance. There will be setbacks, disappointments, disqualifications, upsets, injuries and so on. Persevere through the moments of doubt and uncertainty and stay focused on your process. 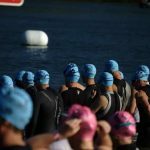 When chasing excellence in the water it’s common to slip into treating the sport as a 24/7 obsession. 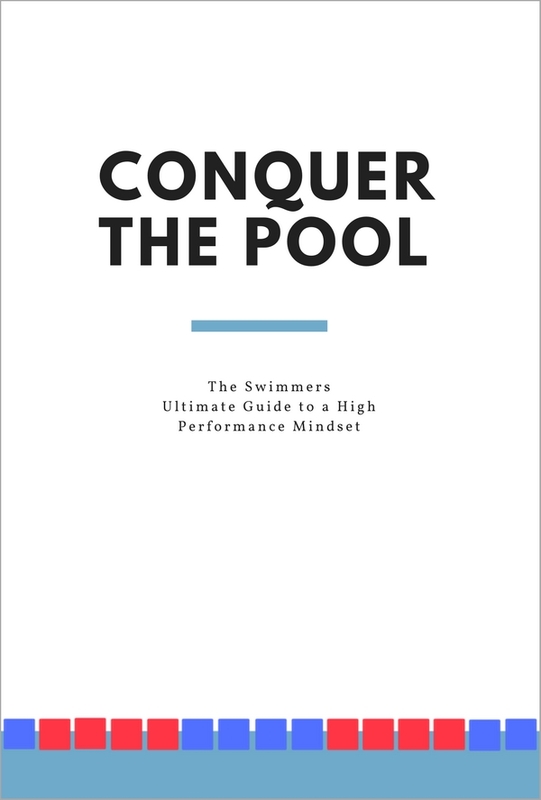 After all, if focusing with all our might during practice is good, then making our whole life revolve around the pool is better, right? Not only does this set us up for a life that wholly dependent on our sport, with our self-identity completely contingent on how practice went that day, it also makes it hard to refill the tank between sessions. Peaty has a simple rule when not crushing it in the gym or in the pool: don’t talk about swimming. When you are at the pool, be all in. The time away from the pool is better served in other interests and hobbies that will refuel you compared to spending more time and energy (uselessly) consumed by the sport. Being mentally tough comes with leaving nothing to chance. 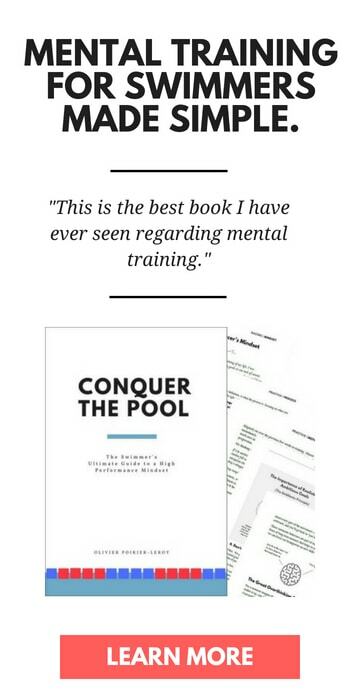 Ultimately, you can try all the visualization stuff, work on your self-talk endlessly, and try all the tricks of the trade to develop mental toughness, but if it’s not matched up with the preparation in the pool it’s going to be hard to put your best performance forth. With Peaty this means being dead serious when it comes to doing everything possible to dominate the water. This means being in bed by 9pm to make sure that he gets the sleep he needs to be fully recovered after training each day. He’s up at 6am each day for practice, training up to 10,000m spread over numerous sessions. He’s also dialed in on his meal prep and nutrition to keep his weight down through taper as he approaches competition. Peaty has the confidence on race day because he leaves no stone unturned during his preparation. It’s something a lot of champions seem to share, a visceral distaste for the thought of losing. Michael Phelps was well known for using the idea of losing (and the occasional loss) as jet fuel for his own performance. Katie Ledecky has that killer instinct too. Elite swimmers have a way of using anything in their experience as stimulus for motivation, and Peaty is no different. In swimming there is always going to be someone coming up behind you. It’s the nature of the sport. Once you achieve a champion’s level it can become easy to grow complacent and content with what you’ve achieved. But for those who stay at the top, it’s an ability to stay hungry and stay motivated to keep pushing that continues to separate them from the pack. Peaty has had the outlook of turning setbacks and failures into something positive. Of looking at a disappointing performance or a loss and thinking, How can I make this the best thing to happen to me? Use visualization to lay the tracks of your ideal performance. There is a lot of utility in using visualization. 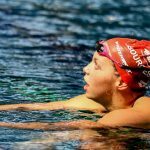 From speeding up skill acquisition, being more committed to the process of improvement, to giving you a sense of calm heading into competition, there are a ton of ways that visualization can help you become a better swimmer. Peaty uses visualization in the lead-up to competition in order to unlock the full potential of his training. 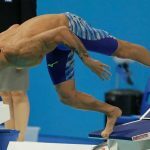 This echoes the same advice that Olympic gold medalist Garrett Weber-Gale had for helping swimmers steel themselves against “that” moment in training or competition when it feels like your shoulders and legs are about to collapse. By visualizing yourself thriving during the moment where it hurts the most you are mentally prepared for when it happens in real life. Use aggression to conquer pre-race nerves. Pre-race nerves are something we’ve all struggled with in some degree. 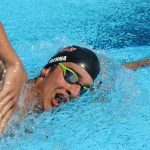 For the “practice swimmer”—the athlete who crushes it in practice but always stinks it up in competition—this is a particularly painful struggle. 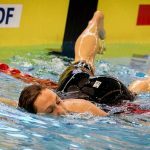 One of the ways that swimmers can help redirect that nervous energy into something that will yield a better performance is to take on a fighter’s mindset. Turning to anger in the moments before you are on the block helps you take control of the situation. Whereas being nervous is a reactive position to be in, getting a little fighty helps you to take control of your performance. When anger and vigor are present without symptoms of depression it is actually associated with higher levels of performance. 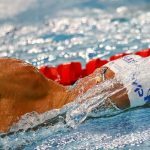 This probably isn’t a surprise when you think about it: look behind the blocks on race day and you will usually see variations of a determined and pissed-off look sketched across the faces of the swimmers. Peaty discovered this lesson as a teenager who was dealing with pre-race nerves. He realized that he could use those nerves for good by taking a more aggressive approach with his mindset. The nerves are a normal part of the experience when it comes to pressure-filled situations. 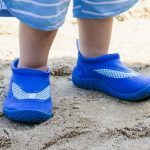 Simply flipping them on their head by reframing what you are feeling as excitement (seriously, even just saying “I’m excited!” can help you boost performance) or cranking up the aggression will help you let loose and swim faster.